Check out the installation instructions here. There several rollouts in this tool, each dealing with a separate task. To render low-res tests and previews. These Proxy resolutions buttons are currently hard coded to: 1/2 ,1/4 ,1/8 of the Project resolution. This allows me to quickly change the image size while preserving the aspect ratio. It’s dumb but I’ve messed up my scene one to many times by accentually moving the camera. This quickly locks and unlocks camera positions to prevent mistakes. See how to deal with camera FOV and Lens by hand here. To create an over-scanned version of an existing frame the we need to proportionally adjust the pixel width and the film back width by the same value. Additionally cameras need to their FOV adjusted maintain there current lens focal length. If that didn’t make sense then don’t worry. Just adjust the spinners in the Overscan dialog and see what happens. This a list of modern cameras based on the data the black and blue pocket guides. The list is stored in a simple text file so it’s easy to add extra cameras, but be aware that the file will be overwritten by the next install of my scriptPack. If you wish me to add your favourite camera to the list then add a comment below. The settings are stored as Custom File Properties. 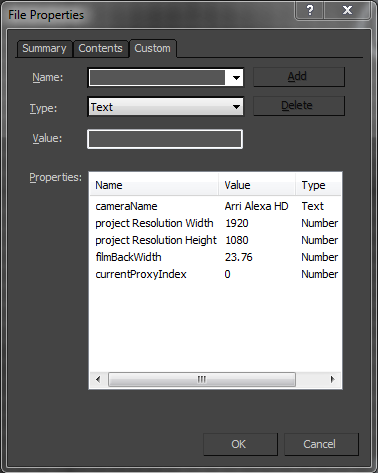 So the camera resolution setup is restored when you reload the file and re-launch the tool. 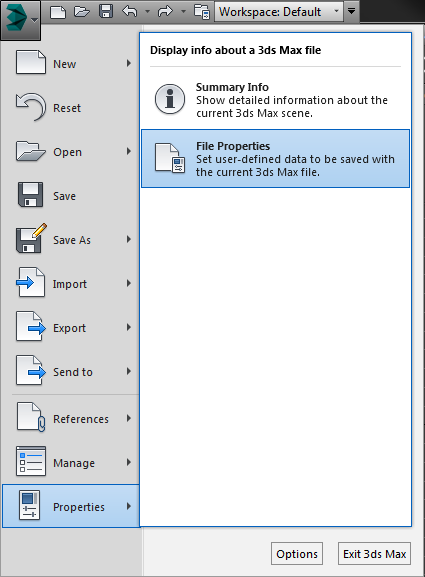 If you wish you can also save the project camera settings in you maxStart.max file so that they are preserved when you reset or re-launch 3dsMax. I’ve chosen to fix the tool for square pixels. While this may be an issue is if you need to render to an anamorphic pixel ratio in my experience we always un-squash the frame before working on it. If you really need non square pixels ping me a comment below and I’ll see what I can do.